18 for 18 - Top Things to Do in Bundoran - Discover Bundoran - Tourist Information from Ireland's Capital of Fun! 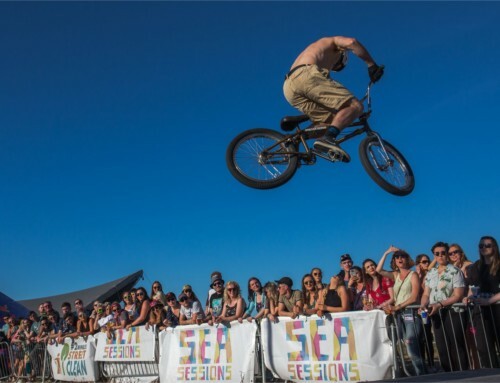 Here’s our 18 for 18 – top things to do in Bundoran this year! It’s the time of year to start thinking and planning how you’re going to spend your well earned days off and family time with loved ones. 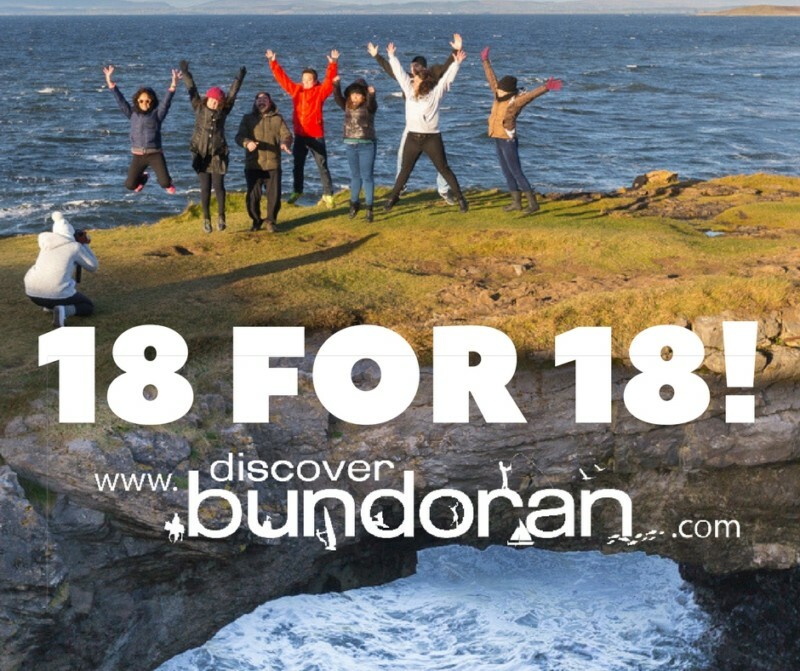 In no particular order we present the 18 for 18 – top things to do in Bundoran! The ever popular Easter Egg painting competition is a great way for the family to come together for a few hours on Easter Saturday to be creative and win some nice chocolate eggs! It happens from 1pm on Saturday 31st March. Bundoran’s hidden gem – the Fairy Bridges and Wishing Chair and the original tourist attraction which brought hundreds to our beautiful town from the 1700s! Experience the expanse of the Fairy Bridges or simply take a seat on the wishing chair and dream about endless possibilities! Sadly last year’s event had to be cancelled due to the weather but this year the volunteer crew of Bundoran RNLI Lifeboat are raring to go with this fun family friendly event on Astoria Road on Bank Holiday Sunday June 3rd at 1pm. Now a staple event in the calendar each Halloween as pumpkins are carved and paraded through the street in this fun family friendly event. We’re generally eating pumpkin soup for days after!! This year’s event happens on Wednesday October 31st from 3:30pm. Once again Main Street will be shut to traffic as cars are replaced by bouncy castles and fun activities as our annual street party sponsored by Macs and Olympic Amusements takes place. It’s at the top of many children’s top things to do in Bundoran list, so come, bounce, get your face painted and enjoy a free day out in Bundoran! Last year we had so many classic cars that we didn’t know where to put them all! This event, run by the Donegal Vintage and Classic Car Club sees hundreds of vintage and classic cars on display at West End Car Park with the owners only too happy to chat about their passion! Admission is free but a donation is requested for the chosen charities – Ozanam House Bundoran and Bundoran RNLI. We don’t get out much but when we do we like to talk about…. Bundoran! 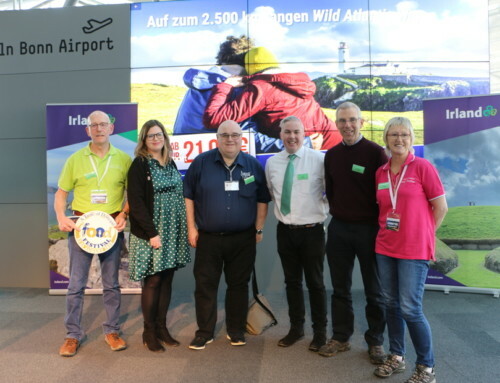 If you haven’t been before and would like to meet some of our representatives in person to tell you about how wonderful our little town actually is, then why not come see us at the Titanic Exhibition Centre in Belfast from 19-21 January or the RDS Simmonscourt 26-28 January. Here’s a link to get a two for one ticket! 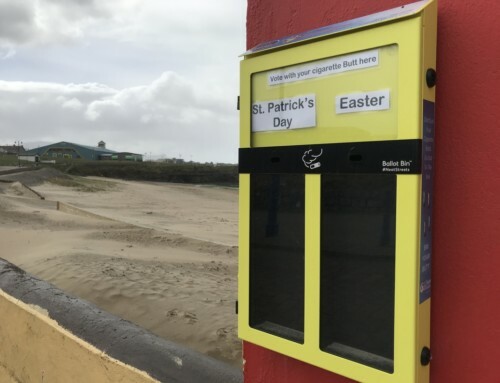 Last year we met journalist Rebecca Lee who subsequently came to Bundoran and wrote this great article! Bundoran is not short of pubs, and cosy ones at that. Whether you want a quiet pint with no distractions, watch the latest sporting events live or listen to some live music there’s a pub to suit you! 18 for 18 – The lads enjoy a Guinness in Brennans. Every palette is catered for and every size of group in Bundoran. From traditional dishes to steaks, to Italian, Chinese, Indian and pizza you’ll find something to suit you from McKenna Guide award winning restaurants to cosy eateries and the traditional takeaway! Bundoran isn’t called the capital of country music for no reason you know! Every weekend, Ireland’s top country music stars are performing in town with many of the local pubs hosting country singers also. 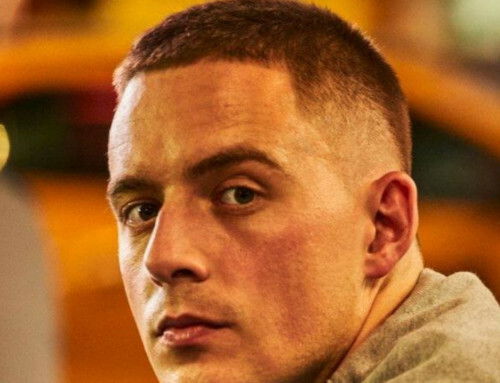 So whether you’re into a bit of Nathan Carter, Derek Ryan, Mike Denver, Robert Mizzell or Jimmy Buckley, keep an eye on our event guide and see when your favourites are playing! As well as being the country capital Bundoran also proudly calls itself the Surf Capital of Ireland. In 2016, Red Bull named Tullan Strand as the best beginner beach in the country and every week hundreds of surfers flock to the town to experience every category of wave for every category of surfer. With 5 surf schools, many of these also offer other outdoor activities such as kayaking, archery, stand up paddling and more. You can also learn to become an outdoor instructor or a lifeguard and if cycling is more your thing you can rent bikes (push or electric) and take in the wonderful scenery in the surrounding area! Need we say more. Relaxing at the end of a hot summer’s day on the promenade or on the beach watching the sun set over Donegal Bay should be on everyone’s bucket list! Here’s a live sunset video from last July. Just for good luck here’s an extra thing to do! Play a round of championship golf. Bundoran Golf Club, founded in 1894, is one of the oldest golf clubs in Ireland, a clifftop links on a headland overlooking Donegal Bay on the Wild Atlantic Way. Our golfer friendly course, situated in the town, with panoramic views of the Atlantic Ocean and a backdrop of the magnificent Dartry Mountains presents a challenge to all golfers.